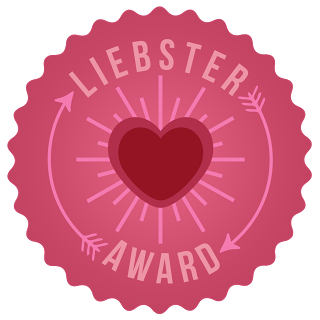 My little blog has been graced with yet another blog award! Drakulus23 over at drakulus.com has nominated me for the Liebster Award, which is a great honor. Thank you so much for the nomination and all you readers don’t forget to check out his blog. The nominee will nominate 11 other blogs. Alright, so I got the first two out of the way as I have posted the image here as well as thanked the blogger who nominated me. Now I must answer the questions that the blogger who nominated me asked. 1) What’s your favorite game of all time? Not your second or third favorite but your favorite game ever. Let me know! Of all time? It’s hard to choose but I will have to say, at this moment, it’s The Legend of Zelda: Link to the Past. It’s always hard to choose between that and Mass Effect 3. 2) Where was your favorite place to go as a child? To the coast. Living in the central valley of California makes trips to the coast easy since it’s relatively close, but still far enough away to feel special. I remember taking many great trips to the coast with my family, a lot of great memories were made there. 3) Who do you look up to the most in life? Honestly? Batman. I know that probably sounds like a joke but he is so awesome and I have looked up to his character for awhile now. I’ve always wanted to be as strong, smart, and moral as Batman. For most of my life I wanted to be a Police Officer but have struggled with another idea and juggled the two for a long time. I just recently made my final decision for my career path and have decided to go with the other idea – Criminal Psychologist. Haha oh wow, I’m going with no. I don’t honestly believe I have ever done that. 6) Name 5 things you want to do before you die. Backpack across western Europe, get a highly impractical sports car, search the Atlantic sea until I find Rapture, emerge victorious from The Hunger Games, and meet Lara Croft. 7) Who’s your favorite Author? Diana Wynne Jones. I love her writing style, it’s so captivating and she is great at painting pictures in the head of the reader. 8) What’s your favorite comic book series? I honestly don’t read a whole lot of comics, but I must say that my favorite would be Watchmen. I have never loved a comic books series as much as I have loved that one. 9) If you could have any super power what would it be? Would you use your powers for good, or evil? I’d like some kinda of cross between biotics from the Mass Effect series and The Force from Star Wars. I’d definitely use my powers for good. 10) Imagine yourself in Fallout 3, what would you do? Make friends with the Ghouls and hang out in one of their camps. I’d like to thank Drakulus23 again for this lovely nomination, I truly appreciate it. Here are the 11 bloggers that I would like to nominate for this award. These folks run some fantastic blogs and are very talented. Be sure to check these blogs out and show them some love, they totally deserve it! 1) If you were deserted on an island with only one game and one console (or PC I suppose), what would they be? 2) What is your favorite gaming accessory? A guide, a headset, a special controller, something else? 4) What is your favorite band? 5) What is your favorite flavor of ice cream? 6) Star Wars or Star Trek? 7) If you are in school, what are your studying? If you aren’t, what would you like to study? 8) Who would win in a fight, Nathan Drake or Lara Croft? 9) What is your favorite/most meaningful possession? 10) If you could live anywhere in the world comfortable and free of charge, where would you live? 11) Who is your favorite video game character? hey congrats on your nomination! and thanks for nominating me! Drakulus23 also nominated me.Does that mean I have to do two articles now? Haha not unless you really want to 🙂 You could do both sets of questions in one article if you’d like!